To drive the adoption of Rich Communication Services or RCS messaging among telecom carriers across the globe, Google has teamed up with Huawei. 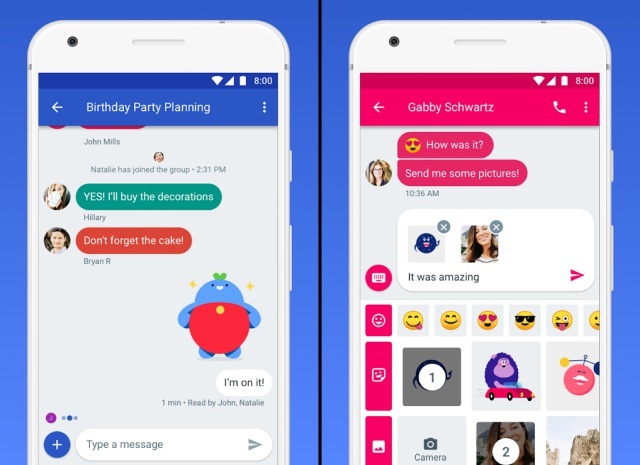 The company will now integrate Google’s Android Messages app natively in its smartphone lineup. Huawei’s devices, such as the Mate 10 that just landed in the US, will soon be offering a more enhanced messaging experience by replacing the default messaging app with Android Messages. This change won’t be instantaneous but would happen over the coming months. Under this partnership, Huawei will be offering Google’s own Jibe RCS hub and cloud solution as an integrated part of its IMS (IP multimedia subsystem) network to all their current and prospective carrier partners. Google developed Jibe hub in hopes to make it simpler for a carrier to jump ship and support RCS, but several of them still haven’t accepted it until today. And if you didn’t already know, RCS (Rich Communication Services) messaging is the next step in SMS/MMS. RCS is not restricted to just text-based messages but also enables you to share rich media such as images, emojis, stickers, location and even audio messages. Finally, if you look closely then you’d notice that Google has recently been reaching out to renowned Chinese phone makers to make its technologies reach an even larger user base. It had previously partnered with Xiaomi to revive its long-forgotten Android One program and has now teamed up with Huawei to make telecom carriers realize the need to support RCS messaging. If this plan comes to fruition and users starts adopting the service, then it could very well become a worthy competitor to Apple’s iMessage, because that’s exactly what RCS is capable of doing.